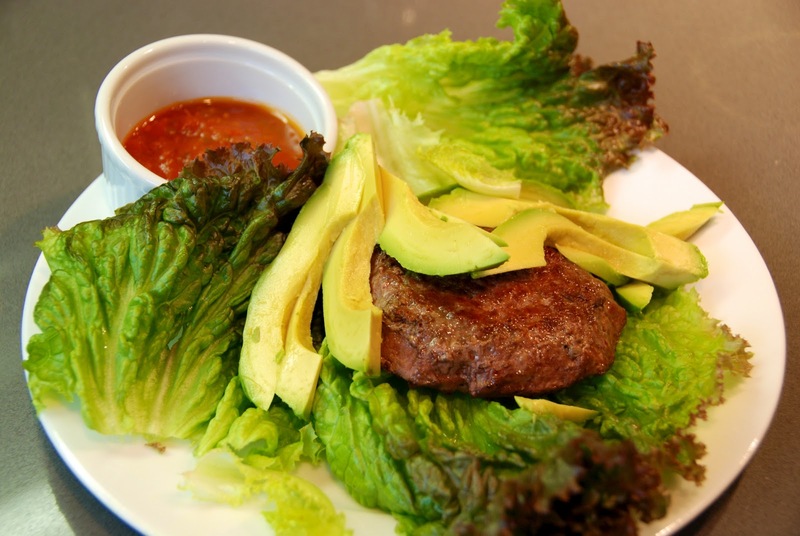 Canadians who visit the Truffles Burger Bar in Cornwall, Ontario can chomp on a "CrossFit Burger," which looks fantastically Paleo: a beef patty sandwiched between two portabello mushrooms in place of buns. I'm not headed north of the border anytime soon, but M and I (and the boys) did get on a plane today for our annual trip to Maui. And although we were still packing when our friend came to drive us to the airport, we were hungry, and a pre-flight Paleo-esque burger sounded awesome. It took just a few minutes to throw together, and a few more minutes to jam everything in our mouths before dashing for the airport. It was damned tasty, if I say so myself. (If M disagrees, she'll let you know on her blog.) Who says you can't eat Paleo on the run?